A Safe Place To Heal is based in McKinney, TX and serves all surrounding areas including: Plano TX, Allen TX, and Frisco TX. We offer a variety of Counseling and Therapeutic services for families, couples, children & individuals. Our counselors and therapists are here to help you. 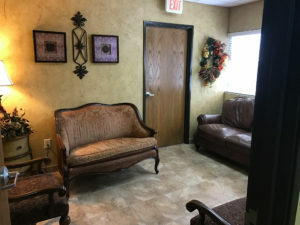 A Safe Place to Heal is exactly what it sounds like…a safe place for counseling and therapy that allows you to talk, feel, heal, learn and grow. With the benefit a trained counselor/therapist, you can begin to transform your life. Whether you need guidance to heal old wounds, resolve marital conflict, identify barriers to achieving your goals, overcome harmful behaviors or simply figure out why you can’t feel satisfied with your life, A Safe Place to Heal can help. Our counselors are warm and friendly. They are carefully selected from many qualified professionals and are the cream of the crop! You will know you are in the right place as soon as you walk through the door and find an environment that looks more like a comfortable living room than a stuffy office! We like to make you feel as relaxed as possible from the moment you arrive for your first appointment. At A Safe Place to Heal, we want you to feel safe talking about anything. Everyone is a therapist here, even the person answering the phone! We always want you to feel as though you are talking with a trained professional, even if you are just needing to schedule an appointment. If you don’t already have a therapist in mind when you call or email us, you will have the opportunity to talk to a trained counselor the first time you speak with us. She will talk to you about what is happening in your life that prompted you to call, then, she will look at your availability for attending sessions and make a recommendation for the right counselor. Have you ever gone to a doctor’s office only to find that the front office is full of people who just don’t get it? Have you ever said that you still go to your doctor, but if you could avoid the people who schedule the appointments, you would? Well, we heard that too so we decided it would be best to only have trained counselors working at A Safe Place to Heal. You will always be treated with kindness, caring and professionalism. 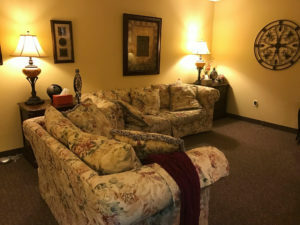 At A Safe Place To Heal we provide counselors every step of the way to ensure that no matter the issues, concerns or fears you may be facing and dealing with, we can guide you through the process of healing and get you back to a place of comfort and peace. Below, you will find a list of services. Each service is a link and has its own page with a great deal of information. Please take some time and read through the information we provide here. Some pages even have a quiz attached so that you can start off with information for your counselor immediately! Just print off the results and bring it to your first session. We are glad you are here. Now, let us help. Call if you prefer to talk first. Keep in mind, since everyone at A Safe Place to Heal is a trained therapist, sometimes we are meeting with clients and might not immediately answer the phone. That is the trade off for choosing to not hire someone to simply answer the phones. So please, leave us a message or send us an email and one of our therapists will call you back as soon as possible. Please browse our site and feel free to contact us at 972-569-8255 or email us at info@asafeplacetoheal.com with any questions. You can set up an appointment to meet with one of our counselors by contacting us today.